With some combination of misery and mercy, the Mavericks 2007-08 season has closed. We shall no longer have to watch this horrendous combination that never fit. They tried to change things around and make the combination work, but it never happened. I would love to go over Game 5 point by point and in great detail, but this morning, I just cannot muster the energy. I am feeling exactly as I felt since Sunday about our Little Mavericks – Uncomfortably Numb. Last night brought almost emotional reaction either way as they put a stamp on their legacy in the Avery Johnson era. Not good enough. Not strong enough. Close, but no cigar. Many fun nights, but in the end, in an effort to become like the San Antonio Spurs, the Mavericks developed into the exact opposite of those hated Spurs. They do not rise to the occasion. They do not play their best basketball in the playoffs. They do not know how to hang in there, and find their way out of any mess. They are hopelessly doomed and diseased as presently constituted. Avery Must be Fired. I cannot begin to list all the reasons he must go. It isn’t a tough decision at all. Josh Howard Must be traded. The 1999 Eastern Conference All-Star team that we call half of our roster should be altered substantially. The Front Office should be held accountable for a number of silly draft picks in the last several years. Beyond that, I think you must consider any and all options. If you read this space regularly, you know I believe Dirk Nowitzki is part of the solution. Not the whole solution, but part of it. But, even my confidence in him is shaken, and I certainly would not submit to you that he is perfect. I do, however, know how hard it is to find special players. And unless you know where we can upgrade on Dirk, then I think he will have to do. As for Jason Kidd, I would imagine he is untradeable, so we should all accept that he will be here for one more season. Brandon Bass looks like a very useable piece for the future. Jason Terry, in the right role, is the very heart and spirit of this team many nights. You don’t hear about his baggage, you don’t have to beg him to want the ball at a big moment, he just pours his effort out there every night. Which is why I have so soured on Josh. He doesn’t play smart. He obviously doesn’t live overly smart. He doesn’t want the ball at big moments. And he wouldn’t know what to do with it if he did. Cheer up, Josh; Pot season is here. Way to allow Peja to beat you in this series. Jerry Stackhouse appears done. His body just can’t survive a season anymore. If it were a season that was the length of a college campaign, he might be useful. But, he hasn’t played 70 games since 2003, and he just seems like he has nothing left to give. If Juwan Howard, Devean George, or Eddie Jones are back, the Mavericks aren’t serious about winning. Even Mark Cuban must decide if he must change his ways. Would he be better served to enjoy his team from a safer distance? Maybe the presence of Mark on the sideline is not conducive to a coach’s comfort. Just saying, Mark. You know I love most of what you do, but I think everyone needs to check the mirror this morning. The first thing they must do is figure out who wants to be here. And, bust everyone else out of here. This is time to start over. The bar will now lower dramatically, and regardless of what they do, don’t expect any of the national types to throw love the Mavericks way anytime soon. Will Jason Kidd ever find his game here? Will Josh Howard be tradeable? Will a ridiculous Pau Gasol-like deal be out there? Or worse yet, will Mark Cuban stand pat? The very same mistake he made last summer. Let nobody kid themselves. This thing cannot be repaired. 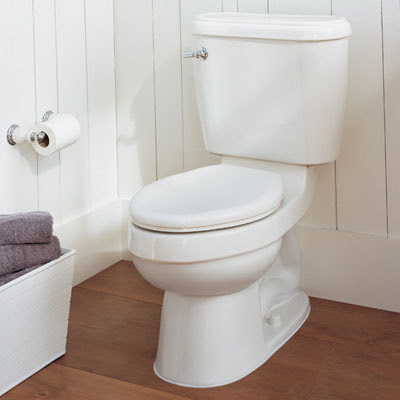 The sad truth is that the Mavericks toilet must be flushed. Good bye, 2006 NBA Finals Mavericks. It was fun while it lasted. Tonight’s hero is: Mattias Norstrom? Absolutely right, Mattias Norstrom. Did you have Mattias in your pool for scoring the overtime winner? In a post-season run that has included 7 glorious victories so far, this one added a brilliant chapter to the story, as Norstrom scored 4:37 into overtime, and the Stars now stand one win from the Western Conference Finals. Things have gone wrong for many years around here in the playoffs. Bad goals would be scored against, as a puck bounces off a skate or a body, and no goals would be scored for – as the Stars would not score no matter how great the chance would be. It wasn’t one player or one moment; it was many. Many years to forge an identity that was not wanted…playoff busts. So, when things start going right, rather than ponder why that it is, it is perhaps better to keep your head down and keep skating hard. For now, the Stars are on the right side of the bounces this year for some reason. Maybe they are making their bounces and luck by playing better, or maybe the hockey gods are having mercy on a group of guys who have worked their tails off and deserved a better fate. Or maybe, both. Whatever and however it is happening, this team is winning. Winning the little battles for the puck, winning the periods that matter, and ultimately winning the games. This team is taking years of losing in the spring and making up for it in major strides in these playoffs. And, boy, is this ride fun. • This certainly had to qualify as the hardest hitting game of the San Jose series. The bodies were flying with a combined 85 hits recorded by the statisticians. The Sharks had Jeremy Roenick running around throwing the body in a way that reminded me of JR in Chicago Stadium, while the Stars featured an absurd 11 hits from Brenden Morrow. I would say that qualifies as the captain leading the way. We will not soon forget the massive hits from Morrow on Brian Campbell and Craig Rivet (same hit) nor the Jonathan Cheechoo shoulder that knocked Stu Barnes to the ice for an extended period of time. This was not a game for those who carry their purses with them on the ice. This was a man’s battle. • Sergei Zubov led the team in ice time in Game 3. He was very good, save for the no-look pass that he wants back that went directly to Patrick Marleau. Marleau skated the rest of the way to the Dallas goal, and beat Turco to Marty’s left. This shorthanded goal certainly hurt the sound level in the arena for a while, but it was the only time Marty was beaten all night long. Having a new player added to your team in the playoffs who one game later leads your team in ice time is not a very common occurrence. The Stars add Zubov, and now look poised to put his services to work for quite a while longer. • Norstrom is the hero tonight, but let’s not forget the role he played in the overtime winner in Game 1, too. Heck, let’s not forget the role he has played in this entire run as the veteran in the back who is steadying the young troops. He has been superb, and I am to blame for not bringing it up sooner. • Christian Ehrhoff is not enjoying his time in this series. He was -2 in game 1 , -2 in game 2, and -1 in game 3. -5 in 3 games? And, he hauled down Niklas Hagman for the penalty shot, too. He has been asked by Ron Wilson to deal with Morrow most shifts, and I would be willing to say he is not doing very well. And then, to cap off a difficult night, he was guilty of the overtime icing that let to the Stars goal. He missed games early in the Calgary series due to a lower body injury, and I think it is safe to wonder if he is fully healthy. • Does this series make you wonder about the motto of “finishing the season on a roll”? The Stars finished the regular season cold as ice. The Sharks won nearly every time they played after the trade deadline, and while the Stars have won 7 out of 9 in the playoffs, the Sharks have won just 4 of 10. Weird, eh? • Brad Richards is a magician with the puck. Only now, with Richards, Zubov, Modano, and Mike Ribeiro all on the ice at the same time do we finally see all the skill this team has. And on a 5-3 situation, it approaches being classified as “unfair”. • How did you like Jere Lehtinen’s effort on the penalty kill? He loses his stick, so he blocks the shot with his body. Ol’ Reliable. • That action in Game 3 was some of the best hockey I have witnessed in a long time. What an absolute pleasure to watch the two teams skating up and down the ice and making the puck sing. At 14:15 of the 2nd period, the clock stopped working, and as the clock was turned off, the play continued at a very high rate of speed for what would be over 6 minutes of brilliant NHL hockey. Up and Down, Back and Forth. If they could bottle that hockey, you could show the world why we love this game. • Steve Ott signed a 2 year extension, and then celebrated with a text book reversal during the game. • The way the Stars continue to take over the game in the 3rd period is really amazing. They now hold a 19-5 scoring advantage in the playoffs after the 2nd period. They just keep pouring more and more energy on the ice and eventually wearing down the opponent. Are they fresher than the Sharks? I have no idea, but now that the Stars have won 3 games in the last 4 they have played by coming from behind in the final period. Think about that! 3 times in 4 games. On the other hand, for the Sharks to require Evgeni Nabokov to bail them out continuously in the 3rd period of a must-win game, with hardly a push back in the other direction is mind boggling. Desperation was supposed to be a given for San Jose, and while they brought it early, they clearly finished 2nd in a 2 team race in the final period and overtime. Something tells me that Jumbo Joe will be hearing it from the scribes of Northern California unless this takes a dramatic turn. • Mike Ribeiro leads the NHL in playoff scoring. Seriously. • San Jose brought all kinds of desperation, but for the 3rd straight game, the Stars weathered the storm. Then, as the game went on, they finished stronger. Can they finish the Sharks in 4 straight? Do you think the Stars want to get on another plane to San Jose for a Game 5? I would think not. Expect two teams to show different brands of desperation and urgency in Game 4. And perhaps stop at a hardware store, and buy a broom. Realizing that the Stars and Mavericks have enormous games for significantly different reasons tonight, I thought I should make sure to get my thoughts of this past weekend’s Cowboys draft on the record. That way, if I am right or wrong about how the Cowboys handled it, I will have taken a stand and you can either bury me with it in 2 years, or pretend it never happened. Anyway, I have Made my stance of lukewarm on Felix Jones pretty clear, and I won’t beat you down here. In fact, once this is on paper, I am ready to accept their decision and proceed. Whether right or wrong, it isn’t changing, so Felix Jones it is. But, the idea that Rashard Mendenhall was available takes me back to that day of Steven Jackson being there, and the Cowboys getting cute, out-thinking themselves, and then we are left to wonder how the Cowboys were offered a favor from the draft gods, only to spit on it and pass. Mendenhall is an every down back, or a “feature” back as they say. Felix Jones is a “change-up” back, used and selected primarily to compliment Marion Barber. 1) Is a he a feature back? Not in his only crack at it - But I am optimistic for his future. 2) Will he get re-signed here? With Drew Rosenhaus, anything is impossible. 3) Will he stay healthy? If the answer to all of the above is “yes”, then Felix Jones is the right call. But, if any of the answers become “no”, then we are all going to wish Jerry had the common sense to take the feature back, not the compliment to a guy who is no longer available to be complimented. Of course, I have no idea what kind of pro Mendenhall will be, but that is why we fall back on the consensus of the teams and experts. They have been wrong before, but more often than not, they are pretty smart. And, everyone saw Mendenhall as the better running back. Except Jerry. I just never thought he would fall into the Cowboys lap….and then out of it, and in to the Steelers’ lap. This is what makes the job fun. It may be a while before Mendenhall gets a look due to that Willie Parker character (himself undrafted), but the careers of Mendenhall and Jones are now as linked as Julius and Steven Jackson. Now, on to Mike Jenkins. Makes plenty of sense. You cannot have too many talented CB’s in your arsenal, and with Terrence Newman’s contract running out, it is good to cover yourself. The Martellus Bennett pick perplexed many, but he has always fascinated me. He is an Aggie, so I have had a chance to view him regularly, including a few games from a few feet away, and I am convinced that he will be in the NFL for 8-10 years. He seems like he may come with a fair amount of maintenance, as he has always been a huge fan of himself, but his skills are top notch and he seems strong as you would like. I know he can get down field and cause matchup issues, but more importantly, unlike the 1 dimensional Anthony Fasano, he can pass block. Which means, unlike last year, when Jason Witten had to stay in and help on the most important play of the season (4th down vs Giants in the playoff game), Bennett is more than capable of doing that, allowing #82 to get down the field and make a play. I like Tashard Choice a bit, but need to see him in person before I get carried away. But to those that cannot grasp the idea that he may be the better of the two when it is all said and done, please reference the premise as it pertained to Julius and MB3. You just don’t know how everyone adapts to the NFL. But, with 3 promising Runners, the Cowboys now have options to get optimistic about. The thing that really doesn’t sit well with me is the Wide Receiver situation. In 2007, the Cowboys left the dominating Dwayne Bowe when they traded out to get Cleveland’s 2008 pick (Felix Jones). They seemed to get away with it in 2007, as Witten and Owens were plenty most Sundays to make the Cowboys offense scary. With Terry Glenn turning 34 in July (and coming off a 0 catch season) and Terrell Owens turning 35 in December, aren’t they continuing to play with fire by not acquiring a stud WR to build around? The draft experts are telling me that one wasn’t there. All I know is that if you want to address a spot, you can. The Cowboys traded up, traded down, and stood pat plenty over the weekend, so I am reasonably sure that one of those 3 options could net you a wide-out. And with 10 taken in the 2nd round, it appears the NFL thought that there were some reasonable prospects. And, to make matters worse, many of the top WR prospects are now in the division. Washington nabbed Devin Thomas, Fred Davis, and Malcolm Kelly. Philadelphia has DeSean Jackson. And the New York Giants are fine gambling on Mario Manningham at the end of the 3rd round, three spots after a spot the Cowboys decided to trade back from. If any of those guys can play, the Cowboys will get an up close look for a long time. Anyway, I liked the 1st day overall, and the 2nd day is such a crapshoot, I don’t even have an opinion on that. I just think the Cowboys may have fallen in love with Felix, and didn’t have the cajones to deviate from that plan, so now they must tell me how he works out like Michael Irvin. Great. I hope he plays like him. This brings me to the Felix Jones/Rashard Mendenhall debate. It's a very valid issue among Cowboys' fans and media alike. Immediately your thoughts go back to 2004 when the Cowboys found Steven Jackson sitting all pretty and ready to be drafted by them right there at #22. But the Cowboys were convinced they could get a valued running back in the second and traded away the pick to Buffalo. Steven Jackson went on to go to the Pro Bowl with St. Loius while Julius Jones is now playing playing with the Seattle Seahawks. Just like in 2004, the Cowboys had Rashard Mendenhall fall into their laps. Incredible! Everyone was certain that Mendenhall would be long gone before #22 but there he was. All the Cowboys had to do was write his name down on the draft card and hand it in. Instead, the Cowboys drafted Felix Jones, sending the Blogging The Boys community into a frenzy of emotion. How could Jerry Jones make the same mistake all over again. To truly judge this pick, you have to step back and see it from the Cowboys point of view instead of a fan's. The Cowboys wanted to draft a running back who was a true complement to Marion Barber and who gives them big play potential every time he touches the ball. Mendenhall is not that player. He is a running back who need 20-25 carries a game to be effective and he would not get that playing behind Marion Barber. Jones has played in a two-back system his whole career and makes the most of it every time he touches the ball. He is a threat to take it to the house on any play he is on the field and is extremely versatile as well. Some may point out that Jones and Mendenhall had nearly the same amount of big plays last year, but then you have to realize that Mendenhall had 130 more carries than Jones. A lot of you have brought up the question of what if Marion Barber is not here next year? Mendenhall would have been the perfect back to draft to be the franchise back of the future. Well, that's all well and good except the Cowboys are not rebuilding their team and are not looking for a running back of the future. The Cowboys are in the hunt to win now and to win it all. The Cowboys went into this draft with every intention of re-signing Marion Barber to be their long term running back. If that happens, then Mendenhall was not the player that fit this team. While everyone including me, thinks that Mendenhall was the better back of the two, the only way we can even know that is to just wait and see. Pro Football Weekly like the Cowboys Choice! …rock me…. Landing Georgia Tech RB Tashard Choice in the fourth round was a steal for the Cowboys. Choice is extremely competitive at a position where the trait could not be more important, and he will find a way to compete for playing time and could be groomed to replace Marion Barber. The selection of two running backs in this draft should be a clear indicator to Barber that he may not get paid by the Cowboys to stick around next year, which both parties may have already known. If Choice stays healthy, he could prove to be the best player from this round. For the first time since 2000, no players from TCU were drafted this weekend. Defensive end Tommy Blake, the 2007 preseason All-American whose clinical depression and social anxiety disorder kept him out of several games and practices his senior season, was not selected. He has not yet signed a free-agent contract, his agent, Reggie Rouzan, said Sunday night. Rouzan said Blake will visit Tampa Bay for a workout this week. So this is how it ends? This is how our little champions-to-be go out? Earlier on Sunday, I think most Mavericks supporters likely felt like I did. Get a win tonight, get a win in Game 6, and then take your chances with Dirk and the boys in New Orleans in a Game 7. One game to determine your fates. Now, it appears it will not come to that. This team is begging to be put out of its misery. They appear to believe in their coach as much as they believe in the Easter Bunny. Their coach is asking questions that apparently can be answered with “JJ Berea”. Their 2nd best player is so mentally checked out on this thing that he may never regain his credibility around here. And, in the end, they have no way of beating the Hornets at enough spots on the floor to win this series. • Do you know how some athletes feed off of criticism and critique? Well, the opposite of that is apparently Josh Howard. Since his brain-dead decision to become a radio star on Friday, where he had a shovel and repeatedly dug himself deeper, he has shot 8-32, and pretty much abandoned the Mavericks mentally, at a time where they could not afford their one young talent to abandon them. His playoff total is now 15-58 from the field, and he told Pam Oliver that he shouldn’t be portrayed as a “bad guy”. Ok, but how about a “dumb guy” if you didn’t think your defense of your pot use would perhaps reflect poorly on the entire organization? Further, the claim it doesn’t affect your game is equally sad given the level of your performance right now. Well, guess what, Josh? Thanks to your no-show, the Mavericks are about 48 hours from “Pot Season”. • JJ Berea? That is a good one. His first contribution was to dribble out the shot clock. Then with 1 second left he fires a pass to Jerry Stackhouse who has no choice but to launch a desperation 3. Talk about not being mentally dialed in. But, why should he have been dialed in? He hasn’t played since March 10th, and there was no reason to believe it was about to happen. But there is Avery, calling his number. And losing all momentum from a promising 1st Quarter. • And then there is the aftermath of the Jason Kidd debacle. How does someone defend that trade on any level? After going for what must now pass as a triple-triple (3 points, 4 rebounds, and 3 assists), he decides to goon it up and get himself ejected. He looked like a guy who was tired of being embarrassed and wanted out of the game. Sad, sad, sad. How does something go so wrong so quickly? • By the way, Josh. Peja? Really? You were dominated by Peja? • Tyson Chandler is now considering wearing a cup. If you saw it, you understand. • Jason Terry is one of the only guys on this team with a little fight left in him. Honestly, say what you want about the shortcomings of Dirk and Jet, but without those guys, what exactly do you have? Talent is nice, but how about a little heart and pride? • David West destroyed anyone who dared try to guard him last night. Dampier? Please. Bass? Good one. Nowitzki? Don’t bother. West won’t remain under-rated for much longer at this rate. • This team clearly has very little idea of what to do on offense. Especially, when you have your “defensive stoppers” on the floor. Talk about an offense that isn’t sure how to score in the half-court sets unless Dirk makes something out of nothing or Jet does the same thing. If they are going to get nothing from Stackhouse, Kidd, or Howard, they cannot beat anyone. • Jump Shots. Jump Shots. Jump Shots. When will we learn? • Because Kidd got ejected, he did not get suspended. Had he not been ejected, I bet he would have not been available in Game 5. • Julian Wright. Yep. Another young, talented 1st round pick. He is no Pavel Podkolzin or Nick Fazekas. • So let me try to understand this: The Mavericks now have to win 3 straight games, with 2 of them in New Orleans? And this is the same team that has lost 8 straight playoff road games? I am not saying it is impossible, but it is as close as you can get. • I am not sure even Al Pacino can save them now. Greedy has never felt so good, has it? Sunday night, down after two periods, the Stars unleashed their 3rd period attack and overwhelmed the San Jose Sharks in a Game 2 performance that mirrors their Game 2 in Anaheim in so many ways. In Game 2, the home team has played with as much desperation as they can muster, knowing that they cannot afford to lose both games at home to start a series. And yet, the Stars absorb attack after attack, sometimes with gritty skill, and sometimes with just a tad bit of luck – and then they hit back with some opportunistic scoring and, for Dallas, the best players are the best players. And by the way, Sergei Zubov is back. And he is still really good. • In this playoff run, the Stars have outscored their opponent in the 1st period, 6-5. In the 2nd period, the Stars are actually outscored, 7-5. So, after 2 periods, it is close, 12-11 to the opponents. And then, the 3rd period begins. After the 2nd intermission of the 2008 Dallas Stars playoff run, the Stars have an absurd 17-5 advantage. How are they scoring 17 goals in 8 games after the 2nd intermission? I have no idea. But somehow, it is becoming routine. In Game 6 against Anaheim and Game 2 against San Jose, the Stars trailed after 40 minutes, and yet took the lead after 44 minutes. They are ambushing the opponent early in the 3rd, and as long as that trend continues, the Stars are going to be impossible to defeat. The other part of that stat is 5 goals against in 8 playoff games. Marty has been a brick wall for much of the playoffs, and has to be considered the team MVP to this point. • How did you like the Mike Ribeiro “Gretzky goal”? We were once told tales of Pierre Turgeon controlling a game from behind the goal line in what was Gretzky’s office, but by the time Turgeon got to Dallas that wasn’t happening. But Ribeiro has performed magic from behind the goal time and time again, and his bank shot off the back of Nabokov was brilliant. And it came at a time where there wasn’t too much offense from the Stars, so imagine the demoralization of the Sharks after he tied the game in the 1st. • Stu Barnes saved another goal last night. It is a game of inches. If that Jeremy Roenick to Torrey Mitchell chance goes in, it could have been a whole different story. But, Stu denied the Sharks, and then the stage was set. • I never thought the Stars were going to be given a Power Play last night. But, once it happened, it took the Stars exactly 17 seconds to score the eventual game-winner. Mike Modano passed on a shot opportunity moments before Zubov whirled an amazing, blind pass back to Modano who buried the shot and gave the Stars a lead they would never give back. No other Stars defenseman would ever dream of that pass, let alone execute it. Welcome back, Sergei. • Do you think that Joe Pavelski lived a roller coaster ride last night? The former Wisconsin great (being a Wisconsin guy, I had to work that in) scored a wonderful deflection goal in the 1st to send the HP Pavilion into delirium, and then inexplicably lost an edge and the puck right to the wrong guy in the 3rd. Brad Richards took the puck, snapped it past Evgeni Nabokov, and erased the deficit in one horrific moment for Pavelski and Sharks fans. Meanwhile, for Stars fans, how great is it to have another guy who knows what to do with a gift? Richards has such a talent-filled arsenal, that if you give him a chance, he will make you pay. For a guy who demonstrated what he could do in his first game in Dallas when he scored 5 points against Chicago, Richards continued to grow his playoff hero legend as he set a Stars record with 4 points in a playoff period. That will work. • Turco’s stops from in tight have been wonderful in San Jose. Those scrambles require a composed goaltender and a half-serving of luck. Marty has had both composure, and has finally been smiled upon by the hockey gods, too. It is about time he is rewarded for his hard work. • Jumbo Joe Thornton is amazing. He was all over it last night, and gave the Stars quite a few “hold your breath” moments. I am not sure there is any way to stop him. • Stars Power Play on the Road in the playoffs? 28.6%. That might explain why they have won 4 of the 5 games on the road. • Who isn’t happy for Niklas Hagman’s night? After a season where he scored 27 goals, he has taken a dramatically reduced role in the playoffs. Knowing he is a free agent this summer, he could be bitter than his value falls as his ice time drops, but he made the most of his chance last night with Richards and then was given the bonus empty netter. I might disagree with the arena decision to make him the #1 star, but with 2 goals, he has to be smiling this morning. • After hearing the Sharks were going to raise the physicality, I guess I was expecting more from them. I attribute this to the fact that Anaheim was the most physical team in hockey, and after defeating them, the Stars are ready for anything the Sharks might try with the body. For San Jose to frighten Dallas will have to come from their impressive passing and skating, not some body check. • Let’s hear it for 29, 9, 14, 26, 10, 2, 3, 6, and 28 for the stellar penalty killing. Without that, the Sharks are up huge in the 2nd intermission. Oh, and #35 is the best penalty killer of them all. • You know the drill from last series. Let’s all focus on an amazing Tuesday night at the AAC, and remember the Sharks wonderful track record of winning on the road. Also, we should not forget the Ducks 4-0 lead early in Game 3 in Dallas. The Stars could try to put a sword in the Sharks on Tuesday night, or, the very talented Sharks could steamroll right back in with a win. I greatly anticipate where this series is going, but I also am having a hard time believing the Stars swept both games in San Jose. This team is playing really well. Let’s keep it going in Game 3. I am a Sports bag designer for Concept One Accessories. There's another designer on my team here that is from San Jose, so we have been going back and forth already and the series hasn't even started! Since we’re both artists we have started a little war putting flyers on each others desks when the other is away. Here's the first one I did, thought you would enjoy it. Keep up the support of Our STARS! 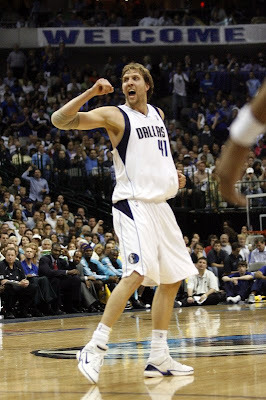 The Mavericks joined the 2008 NBA Playoffs last night, perhaps just in the nick of time. If they didn’t win on Friday night, their season was over. In a game in which they pretty much had the upper hand all evening, the Mavs demonstrated that just maybe they are interested in not going quietly into the night. As David Moore wrote on Thursday, the key for the Mavericks was going to make the Hornets miss a few shots. That can come from added defensive pressure, or the Hornets just not knocking them down. But, if it doesn’t happen, then the tempo is slow, Jason Kidd cannot utilize his talents in a fast break situation, and the stagnant Mavs offense is revealed to be the unimaginative mess that it was in New Orleans. Thanks to both better defense and the Hornets missing, the Hornets missed 54 shots. Allowing for many chances in transition for the Mavs. Meanwhile, Chris Paul proved to be merely human. • Jason Terry is now the glove? I doubt it, but if it slows down CP3 to have Terry chase him down, that is good. As far as I am concerned, the Mavericks definitely needed more Terry available because they need more offense in the half court sets. Jerry Stackhouse has been disappointing since returning from his injury, and I think Terry gives them a little explosive punch to compliment Dirk. He scored 22, had 6 assists, and outplayed Paul? At least for Game 3, the Mavericks did what was needed. • Jannero Pargo. Can’t swear I knew anything about him before this series, but it sure appears he has plenty to offer. Happy he decided to miss occasionally last night. • One under-rated element of Jason Kidd is the way he helps your team dominate the glass. When Kidd can get you 11 rebounds, which ties Tyson Chandler’s 11 who led the Hornets, you know he is helping you control the glass. • It may not be fair, but after every Josh Howard mistake, don’t we all wonder what effect the bong might have had on things? Is he dumb enough to bring all of this on himself? Apparently. • Peja is a one trick pony. It is a great trick, but still only one. And yet, he has made his money. • I am sure Dirk’s 32 points, 19 rebounds, and 6 assists were soft, right? Last night, we saw how silly Dirk talk is around here. He gets his points, and makes his contributions every night. When his boys join him, he is part of a winner. When he does it by himself, he is not part of a winner. It really has little to do with Dirk most nights. He is a constant. It seems to be Josh, Jason, Jason, and Jerry who waver in their consistency if you ask me. • Do you ever wonder why Avery starts the 2nd quarter with Malik Allen? 3 very memorable minutes. • How little must Mike James have? The guy who the Mavericks were desperately bidding against Minnesota to get a few years ago now cannot play 1 minute in the playoffs? Is he hurt? I don’t know. Nobody even mentions him. 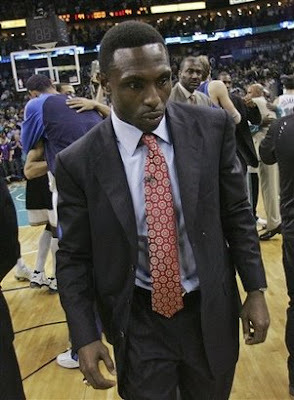 Explain why the Hornets traded Bobby Jackson? • I thought one key was definitely the willingness of the Mavericks to push back. They haven’t shown much fight in New Orleans, so then to see Erick Dampier mixing it up was encouraging. Perhaps they are interested in competing. • This is just one game. The Mavs are neither in this series, nor out of it. If ever a 4th game controls the series, it is this one. It seems fairly obvious to me that the Mavs cannot afford to lose even a single game in Dallas, because that, in effect, forces them to win Games 5 and 7 in New Orleans, which seems to be fairly unlikely. If the Mavericks win Sunday, everyone will get their swagger back a bit. Should they lose Sunday, they will be preparing the casket again. I think we can call this a pretty large contest Sunday night at the AAC. Can they survive? I still am not convinced, but if they can rattle the Hornets twice in 3 days, I believe that little pain called “doubt” will enter the skull of the young team from Louisiana. It all happened in the blink of an eye. Stephane Robidas, who now somehow routinely makes huge plays in the offensive end, wraps behind the net and the puck finds Mattias Norstrom. Norstrom takes no time to send the puck back across the ice to the captain, who already has his stick high and ready. In one moment that makes watching every shift of every game all season worthwhile, Brenden uncorks a shot past Evgeni Nabokov, and all the hockey lovers of North Texas erupt on their various couches – most likely waking up their sleeping kids. I forgot how much I loved moments like these. The Stars opened the 2nd round of the playoffs, by carefully dipping their toes into the dangerous waters of San Jose, but by the end of the night, had stolen the upper hand in a series that will no doubt provide plenty of playoff drama. This one was unlike the wins in Anaheim. This was circle-the-wagons and hang-on-for-dear-life, as waves of Shark Attacks (sorry) kept heading in the direction of Marty Turco. But, Turco and his mates continued to stand tall and make tough saves surviving an onslaught, and making the absolute most of the scoring chances the other way. Game 1was far from easy, but it was an awfully effective way to start a heavyweight fight. • One element of Marty Turco’s repertoire that is perhaps taken for granted by the hockey community of Dallas Stars fandom is the way he foils the dump and chase strategy of the opponent. By leaving his crease and cutting off all pucks that are wrapped around the end boards, he continuously frustrates the opposition. This limits scoring chances and gets in the head of the enemy. You saw last night the Sharks trying to employ the “soft dump” which requires a shuffleboard-like touch as they attempt to ease it into the “goalies, do not enter” area in the corner. This also allows more time for the defense of the Stars to deploy, and makes everyone look better. Watch other goalies that are certainly not fond of playing the puck and you will appreciate this under-rated element of his game that should be considered when evaluating his true worth. • I was not a supporter of the strategy that appeared content on trying to milk home the final 20-25 minutes of the game last night. I think there has to be a happy medium between recklessly allowing odd-man rushes and going into a complete shell. Especially in the 3rd period, it seemed like Dallas was agreeable to surrender half the ice, and just pick up the Sharks attack at center ice. This 5-on-5 defense that could have passed for an even strength penalty kill is playing with fire. When Jonathan Cheechoo’s rugby scrum goal crossed the line to tie the game, I can’t imagine anyone was terribly surprised. It almost seemed like a matter of time. Against the Ducks in round 1, the Stars continued to hunt for that next goal, and although the Sharks appear to be more dangerous than the Ducks, I was reminded by the famous slogan that “Safe is Death”. However, it is nice to learn a lesson in a win, right? • There are bad penalties in hockey. There are also penalties that are actually good. See Stephane Robidas 2 minutes for hauling Joe Thornton off of a prime scoring chance at end of the 2nd period. That is a very worthwhile penalty. I would imagine the coaches actually congratulated him for that one. • Mike Ribeiro trails only Daniel Briere in playoff scoring with 10 points. Briere has 11 for Philadelphia, and Ribby is also tied with Sidney Crosby and Jaromir Jagr. After hearing a radio conversation on Hockey Night in Canada Radio last week, it is quite obvious to me that too many people are holding Ribeiro’s Montreal past against him to this day. I have news for you, Canada. You may think you know Mike Ribeiro, but his last 2 years here in Dallas have been such quality that you might just want to forget what you thought you knew about him. Perhaps he only needed a change of location to push himself to a whole new level of performance, but trust me, he is a star player. Ask Anaheim. Ask San Jose. He scares his opponent and plays relentless attacking hockey on a routine basis. He factored into all 3 goals last night, and while finishing with assists on only the first 2 goals, you could make the case the overtime winner only happens because of all the attention he demanded with the puck on the half board. • Matt Niskanen is better than he is playing right now. He knows it. He just needs a dose of composure to settle his nerves. This run will help him in the long run, but this is what you call a “learning experience” for the talented young man. • Milan Michalek is one of those talents that scares you at all times. He is catching flack in San Jose during these playoffs for not shooting more, but this young lad shall be heard from for many years on Joe Thornton’s wing. And then, with Cheechoo generally on the other wing, you can understand why the Stars are anxious to get Zubov back in the lineup. • Speaking of Zubov, I was asked which defenseman I thought might sit to open up a spot for #56 when he returns in either game 2 or shortly thereafter. Well, I would anticipate that nobody will sit for him. If I am Dave Tippett, and I am not, I would have to dress 7 defensemen for the first few games to insure I can count on Zubov playing big minutes. That means a 4th line center would not dress, but I think with Mike Modano, Brad Richards, and Ribeiro, you can surely double shift one of those boys and get away with 11 up front. • Jeremy Roenick and Devin Setoguchi are on their 3rd line? Yep. They appear to have some quality scoring depth to contend with. • Why exactly did Patrick Marleau jump over Mike Modano’s point shot that beat Nabokov? As an emailer said, “If Craig Ludwig were dead, he would have rolled over in his grave”. I am happy to report that Ludwig is quite well, but that shot block effort was amazingly weak. • Marty Turco was my #1 Star last night. But, in the arena, he was totally passed for all three. No worries. Those honors really are inconsequential. • Many are very disappointed with the Versus exclusive coverage of Game 1 and Game 5 in this series, that had some Stars fans glued to the radio last night. All I can say is this, the deal with Versus is not ideal, but it is the best broadcast option the NHL has had in sometime. They are on a network that wants them, and is willing to show a doubleheader every night of the playoffs. If, part of that deal is that Versus gets a few games of exclusivity, it seems a small price to pay to get your games beamed nationwide to 74 million homes throughout the playoffs. By the way, all of their games they produce are in High Definition, and they own exclusive rights to the Conference Finals broadcasts (save for a game or two on NBC). The point is, if you are a hockey fan, you need Versus, so I might call my cable or satellite operator and let them know. • Just like in Round 1, and just like Morrow said last night, “It is time to get greedy”. Being complacent is not the way to survive in the playoffs. You may have gone on this trip to get a split, but once you get one win, you might as well get greedy and get them both. Sunday is another pivotal game in these playoffs, so I wish the boys a lovely Saturday in San Jose, and plan on a battle of paramount proportions on Sunday evening. So, what are you going to do, Mavericks? If we have learned anything in the last 2 weeks, it is this: Long is the road that leads to the Stanley Cup. 3 more rounds? Are you serious? As exhausting and exhilarating as that 1st round was, it is over. Now, with the Ducks working on their tan, it is time to tangle with Northern California. 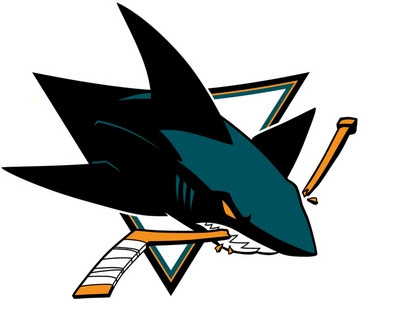 When asked to write a preview of this 2nd series against the Sharks, I was tempted to kick it old school and point out that Bryan Marchment is now a scout with San Jose, and wonder if the Stars would have won the cup in 1998 if it wasn’t for his legendary cheap shot in one of the two previous meetings between these teams in the post-season. If only Grant Marshall was a Stars’ Scout we could have some press box pleasantries. Ah, memories. The Stars have no chance. The Sharks may already have the Stanley Cup in storage given how super awesome they are. Joe Thornton is one of the top handful of players in the entire NHL, and frankly cannot be stopped. There. I hope my bad-vibe roll continues. Seriously, though, the Sharks were selected by yours truly to win the Stanley Cup back in October when those preseason predictions were made. I think they are a very solid hockey team, that can kill you slowly if you do not match their full-ice intensity, or kill you quickly if you do not avoid taking penalties. The lethal power play led by Thornton is tough to slow down once it gets cooking. They are pretty physical, but they also play with far more discipline than the less-than-savvy Ducks did in the last round. Obviously, the Sharks season turned around at the trade deadline. At that point, they were sitting in 3rd place, and with the Brian Campbell trade from Buffalo, combining with Patrick Marleau learning he was not going anywhere, the Sharks shot up the standings as the Ducks pace slowed, and the Stars pace stopped in that month of March. Since Campbell arrived, the Sharks have lost 2 regulars season games. As the Sharks worked their way into spitting distance of Detroit, the Stars dropped all the way to a point where some in the organization were wondering if they were going to make the playoffs when they landed in San Jose on March 27th. That night, the Stars pulled a point in a very entertaining overtime loss, which was their first loss at HP Pavilion in their last 7 visits. Meanwhile, in Dallas this season, the Sharks have had plenty of their own success, winning every game but the dress-rehearsal brawl on the last day of the season. Think about it, in 8 games this season between these two teams, the home team has won just twice. I think this series will be a war in many ways. Once again, I think the real challenge will be the ability for Mike Modano, Steve Ott, and Stu Barnes to slow down Jonathan Cheechoo, Milan Michalek, and Joe. This is something that is far easier said then done, but if Modano can play to the level that he generally does against the Sharks, I have no doubt that this can be a decent match-up for the Stars. But, do not sleep on Joe Pavelski’s line. Joined by Ryane Clowe, and Marleau, they continuously made big plays against Calgary. Ron Wilson has plenty of scoring depth, and also grinding forwards that will wage battle in every corner. I think the Stars now are a completely different animal than they were a few weeks back when we pondered the 2008 playoffs. The team that did not know how to win in the spring demonstrated that they have figured it out in a big fashion. Marty Turco looks like he wants the puck in a big moment. The Stars scored an absurd 3.33 goals per game in the 1st round. And that young blueline? I think they did ok for themselves. With Sergei Zubov skating in practice, that group is about to add their answer to Brian Campbell on the back line. Suddenly, the power play will look a little more powerful. Once again, the Stars will enter the series as the underdog. But, you know, that is fine with them, I bet. Keep picking against them, they say. Keep doubting them. Keep telling Marty Turco that he isn’t clutch. Keep telling Mike Ribeiro that he isn’t this good (I’m talking to you, Canadian Press). Keep telling Mike Modano that he doesn’t like being a checking line center. Keep telling the 3 rookies that they are freaking out in the playoffs. In short, let’s not change anything. Something tells me that this team has finally figured out the right combination. So, prepare for some great nights and some tough nights. Another 7 game bruiser starts Friday Night. Round 2 hockey for the first time since 2003. Every Mock Draft and its brother have told me that Felix the Cat will be in Dallas on Saturday at his "welcome to Dallas" press conference. First off, allow me to say that I clearly am not against drafting Felix Jones. I think he could help this team in 2008 and beyond. That isn’t the question. The question is “SHOULD the Cowboys select Felix Jones?” And, my answer to that is “No”. He doesn't fit the need this team has. Strengths: Versatile back with world-class speed. Exceptional when he can get the ball in space. Displays rare initial burst through the line of scrimmage and around the corner as an outside runner. Is elusive in space and displays an elite second-gear to run away from most defenders. Does not have a lot of tread on his tires. An unselfish player that proved he will put the team before himself in college. Finds different ways to contribute and could be best suited for a multi-purpose role in the NFL. Displays very soft hands as a receiver out of the backfield. Will adjust to ht poorly thrown ball. Runs sharp routes and is instinctive in that regard. A homerun threat after the catch. Will get in good position and give a solid effort as a blocker. Should also provide excellent value as a return specialist in the NFL. 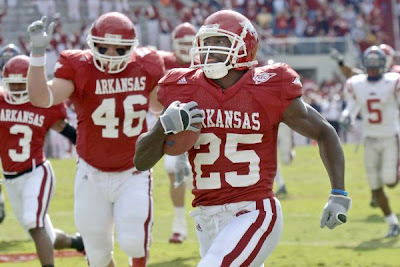 He showcases his rare second-gear with his 82-yard kickoff return in the fourth quarter of the 2007 Kentucky game. It was a classic example of one cut and gone . Love it. Let’s get him, right? And, Scouts, Inc, put it nicely. From many different reports, Felix is not a 3rd down back. Very similar, I might add to the idea that Julius Jones is not a 3rd down back – for the same reason, blitz pickup. Catching the ball is a small part of 3rd down, far more importantly, 3rd down for a RB means taking on a LB in the pocket, and buying your QB another half-second. • And while we second guess, why would you change your lineup now? Isn’t that what the last couple games were for? Shouldn’t you have figured out Barber was better than Jones back in October, and then you are building his stamina the final weeks, and therefore he doesn’t look exhausted in your biggest game of the season. To make him the starter was an obvious move, but when you do it when all the chips are in the middle, you better hope it works. After all of those carries early, Barber had nothing left in the 2nd half. I was referencing the sacks that doomed the Cowboys, and the even more dooming idea of leaving Jason Witten in to block on the last play of the season, rather than send him in a route, because they couldn’t count on any of their RBs to pick up a blitz or to help on the Giants DEs. SO, my conclusion all along has been this: If you are going with 2 RBs, and you believe Barber is the primary back (as your contract offer to him would indicate), then the other guy MUST be able to be trusted to help on Michael Strahan on 3rd and long. If he cannot, then he is not the guy for the job. All of the other stuff is gravy. I like the breakaway speed. I like the kickoff returns. But, he MUST be able to keep Romo from being creamed when the game is on the line, and the OL is gassed. Otherwise, you are back to where you were in January, with Barber trying to play 60 snaps, and totally dead at crunch time. When a guy holds 4 All-Time NFL records in his first two years, it is because there are not 4 guys like him EVER! So, I want people to stop with telling me that Felix Jones, Chris Johnson, DeSean Jackson, and Leodis McKelvin are all “just like Devin Hester”. I understand this is a copy-cat league, but if you are looking for your “Devin Hester”, you might as well try to draft your “Reggie White, Jerry Rice, and Joe Montana” while you are at it. Anyway, back to #22 and #28, I think I am set on Cornerback at #22. I am totally fine with a number of them, with Aqib Talib most appealing to me (although Jordy Nelson lighting him up is tough for me to ignore – not that Nelson is not quality, but that Talib couldn’t stop it). Aside from Talib, there appear to be a few other options at CB – with Mike Jenkins actually the Cowboys preference from what I hear, and Antoine Cason continues to get mentioned. Even with the Pac Man trade, you cannot count on that knucklehead keeping eligible, so you still need a CB. As for #28, I think you then take the best WR left (unless it is surprisingly picked over). Of this group, I would jump at James Hardy, DeSean Jackson (although his weight must be considered), and I would not even be scared to take Malcolm Kelly. I realize he is a bit slow, but he can play. We have all seen that. I think I would grab him if my scouts agree. By the way, all of that goes out the window if Jonathan Stewart is available at #22. I would grab him in a heart-beat. His toe injury doesn't bother me, his strength is awesome, his speed is great for his size, and you can play him on 3rd down. Then, to fill the need for a burner, go get someone on Day 2 who is "just a speed guy" as your 3rd option in the backfield. You need 2 RBs anyway. And all of that goes out the window, if Jerry’s master plan is to trade up to #4 and get Darren McFadden for #22, #28, and a tad more. Of the 20 top Running Backs in 2007, 10 were taken in the first round, and 10 were not. Ok then, you should go back and watch some film and see how well he blocks. Was he as good as Dmac [blocking] no, but he was very serviceable. Additionally, he is the duel threat since he is a KR. Besides, what is this BS about how many times he can carry the ball – isn’t the whole point to pick up a change of pace back? That and Jonathan Stewart is just another MBIII [potentially]. Felix is every bit the dynamic back that Faulk was (and no, not saying he is or will be as good) but in terms of style he is. He’s big enough, certainly fast enough and has field vision like Emmitt, he’s patient and waits for holes but has the breakaway speed that Emmitt never had. Just because Felix Jones was behind Darren McFadden does not mean he can't be an elite back. Barry Sanders had to wait until Thurman Thomas left OSU-and he was ok. I am 6'3/220. What does that mean? The guy ranks 2nd All Time in the NCAA for yards per carry at 7.66. Let us not forget that was done in the SEC. He even topped Bo Jackson’s career YPC. In any event he is good, very good. As for those scouts you talked about – are any of them the same that said Dmac falls on contact, or that he was nothing more than a breakaway guy like Mayock? Jerry Jones has taken plenty of risks as a businessman and owner and general manager of the Cowboys. He is taking another one in Adam "Pacman" Jones. On Wednesday, the Cowboys agreed in principle with the Tennessee Titans to trade for the suspended cornerback and are in the process of completing a new four-year contract for Pacman Jones that includes no guaranteed money. According to sources, the Cowboys will give up a fourth-round pick in this weekend's draft (No. 126 overall), plus a sixth-round pick in 2009 should he not have any off-field troubles this season. If he is not reinstated by the NFL, Tennessee would return a fourth-round pick in the 2009 draft to the Cowboys. The Cowboys could receive a fifth-round pick from the Titans should he be suspended after a reinstatement. Pacman Jones will not repay the $1.25 million performance bonus he earned in 2005. He has agreed to make a $500,000 donation to a charity of the Titans' choice within the next two years. The Cowboys and Titans confirmed they had reached an agreement on the trade but had no further comment. "I'm excited for Adam," said Manny Arora, Pacman Jones' lawyer. "The contract isn't official until we set pen on paper. We don't want to get too excited, because a lot of things need to happen." "He's a great player and growing as a person," said former Cowboys cornerback Deion Sanders, who said he would like to serve as a mentor for him. "He will take Dallas' secondary to an entirely different level with his playmaking ability on defense and return game. I can't wait to work with him." Interesting Gosselin Chat Items …. baylorbear82: What are the chances the Cowboys trade their 22 and something else for Lions WR Roy Williams? Rick Gosselin: If the Cowboys want Williams, it will probably cost them 22 and 28. No. 22 straight up won't get it done, nor will 28 straight up. But the two 1s isn't going to happen. I think Jerry Jones learned his lesson from the Joey Galloway trade that two 1s is an expensive price to pay for any wide receiver. Detroit views Williams as a guy who would be the lead receiver of the Cowboys by 2009 or 2010. Terrell Owens isn't getting any younger. Don't look for the Lions to just give him away because the Cowboys want him. And, please, don't talk about including the other Roy Williams and/or Bobby Carpenter in the package. Everyone wants draft picks, not someone else's discards. The Chiefs just traded a Pro Bowl pass rusher (Jared Allen) for three premium draft picks. Talk picks – high picks – if you want to deal. From e-mail: How do the Cowboys view RB Jamaal Charles? If you look at his numbers, they are comparable with Darren McFadden over a three-year period. He's faster than Felix Jones and shows a lot more power than people give him credit for. Is it possible that the Cowboys could take a WR/CB with the 22nd pick and take Charles at No. 28? Rick Gosselin: OK, running backs. Darren McFadden is the clear-cut best ball carrier on the board because of his combination of size and speed. Remember, the draft is about measurables. McFadden is 6-1, 211. Charles is 5-11, 200. McFadden is bigger, faster and stronger. There's about a round difference between the two on most NFL draft boards. There's also a fumble concern with Charles. I think the value on the board at 22 will be a running back. Felix Jones is that value because he also is an elite kick returner. If the Cowboys wait on the back until 28, Charles and Chris Johnson could come into play. Three hectic months after announcing he would skip senior season at Texas for the NFL draft, Jamaal Charles has pretty much done all he could possibly do to enhance his value. He impressed scouts with his pass catching ability at a skills competition in Arizona, ran a 4.38 40 at the NFL combine in Indianapolis and has gotten high marks across the board in the increasingly important area of character. Slowly but steadily, as NFL personnel types have studied tape and observed, the stock of Port Arthur's all-time leading schoolboy rusher has climbed. Only three backs — Arkansas' Darren McFadden, Oregon's Jonathan Stewart and Rashard Mendenhall of Illinois — are locks to be taken before him on Saturday. After that, there's divided opinion on whether Jamaal, Felix Jones of Arkansas or Chris Johnson of East Carolina will be the next back taken. Most projections have him going in the first half of the second round, although there are those who think he could slip into the first round. "I put him between 31 and 40, with an arrow pointing up, saying he could wind up in the 21-to-30 area," said former Dallas Cowboys talent guru Gil Brandt of NFL.com. "If you went strictly on the fourth quarter of the Nebraska game, he'd be the first pick out of the box. "He's got really good running skills and the way he can catch the ball coming out of the backfield is going to cause a lot of problems for defenses. I think he's going to be a good player at this level." Charles, for his part, knows it's now out of his hands. On the Saturday that will be the biggest day of his young life, he'll be at home to watch the draft with family. He says he's won't start getting too excited until the first round reaches its latter stages. "It would be great to be taken in the first round," he said by phone from Austin, "but it's probably going to be early in the second. Several teams have told me they really like me, but you never know what is going to happen. I've heard a lot of wild stories about the draft." Among the teams who have shown the most interest are Dallas, Atlanta, Tampa Bay, Tennessee, Baltimore, Detroit and Chicago. Jamaal, who spent last Friday at Valley Ranch with the Cowboys, said he'd love to wind up in Dallas. "It couldn't be much better than to play high school, college and pro football in the state of Texas," he said. "My family and friends could come to the games, like they did at Texas. And I'd be going to a good team. "I had a good visit with Wade Phillips and Jerry Jones. I talked with Wade for a long time. Since he's from Port Neches, it was like I already knew him. One of their scouts told me he was really pushing for me. I think it could be Dallas, Tampa Bay or Tennessee." Down 2-0, the Mavericks are trying their best to remain calm. Home cooking is what they need and, in their defense, that 34-7 home record was tied for second-best in the Western Conference this season. That may be the only reason for them to remain confident, but it is nevertheless a reason. Asked if the team was suffering from self-doubt, Terry said, "Not at all. Not knowing this is a building where we have great success. I think we got a lot of fight left in us." Avery Johnson got the Mavericks back on the practice court Wednesday and saw a focused group. The workout was light. A tougher session is scheduled for today. But the mood was enough to ease Johnson's concerns about his team. "The guys are not happy with the way they've played," he said. "They came in, and I saw some angry looks. But I hope we take that disappointment and control the anger into practice tomorrow and then take it out on our opponents. "Where we are right now is nobody's fault but ours. It's not the referees. We can't complain when we don't get calls. We just have to be tough-minded and physical." Johnson has ears and eyes. That means he's heard and read the speculation that his job is on the line if the Mavericks don't dig out of this hole. That doesn't faze Johnson, who has a 22-22 playoff record. "It all starts with me," he said. "Whenever something goes wrong, if we're not making free throws, if we're not making layups, it's not the players. It's me. "We don't want to give up on anything we've done yet. I know a lot of people are counting us out. The same people who picked us to win the series, by the way. I just hope they make up their minds. "When we were down there in New Orleans, the president was in town, and they blocked off a lot of streets. We've got to block off some of their streets." The Mavericks actually had a voice from afar telling them that this series hasn't even started yet. A win Friday in Game 3 would change things dramatically, said TNT analyst Charles Barkley. "I don't think you panic when you lose the first two on the road," Barkley said. "You're not going to come back from [three games down], so you've got to make sure you win Game 3. Then you say we've got to win Game 4, and then the pressure switches back to New Orleans. You can't panic, you've go to keep your confidence up." Meanwhile, you let the Hornets sit around for a couple of days and mull the fact that nobody on their roster was in the league the last time the franchise won in Dallas. • Oct. 29 - Sharks 4, Stars 2 in Dallas. Trailing as the third period began, San Jose won on Setoguchi's two goals, each set up perfectly by center Joe Thornton. • Nov. 7 - Stars 3, Sharks 1 at HP Pavilion. His two goals made Dallas center Mike Modano the all-time points leader among U.S.-born skaters with 1,233. Modano finished the regular season with 1,283. • Nov. 14 - Sharks 4, Stars 3 in a shootout at Dallas. The Sharks couldn't hold on to a 3-1 lead on goals by Setoguchi, Torrey Mitchell and Patrick Marleau. But Setoguchi and Marleau came through in the shootout to give the Sharks the win. 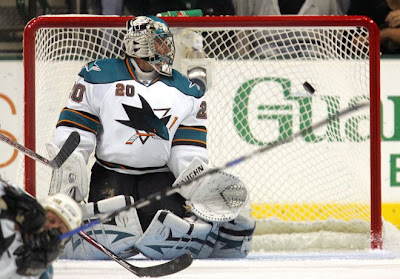 Goalie Evgeni Nabokov came up big in the shootout, stopping Sergei Zubov and Jussi Jokinen. • Dec. 5 - Sharks 3, Stars 2 in Dallas. This one had the pass for the ages, a behind-the-back, sneak-a-peek, cross-ice toss of the puck from Thornton along the boards to Marleau just outside the crease. 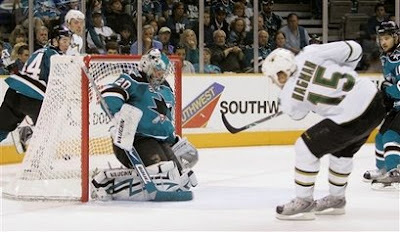 Marleau redirected it past Stars goalie Marty Turco and it showed up on highlight reels that night and beyond. • Dec. 15 - Stars 4, Sharks 2 at HP Pavilion. Costly penalties made the difference as Dallas scored twice on the power play to capture the victory on a night when both teams played with "playoff-like intensity," according to Thornton. • Jan. 17 - Stars 4, Sharks 2 at HP Pavilion. The Sharks had a chance to vault past the Stars into first place in the Pacific Division but came up flat. Two third-period goals gave Dallas its sixth consecutive win in San Jose. • March 27 - Sharks 3, Stars 2 in overtime at HP Pavilion. This time it was San Jose's turn for a comeback. Thornton tied the score early in the third period, then won the game at 2:58 into overtime. The victory clinched home-ice advantage in the first round of the playoffs. 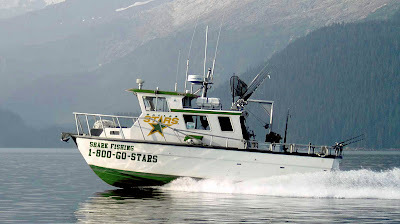 • April 6 - Stars 4, Sharks 2 in Dallas. This was the penalty-filled game that had its first fight six minutes into the first period, then went downhill when Thornton took exception to a hit on Milan Michalek by Stars agitator Steve Ott and started wailing away. Somewhere along the way, a 2-0 Sharks lead disappeared. Some of college basketball's brightest stars, including Kansas State's Michael Beasley and UCLA's Kevin Love, are featured in Beastie Boy Adam Yauch's new documentary, "Gunnin' for That No. 1 Spot." And while it's less than two years since he followed the then-high school players for a week, he still can't get over how much they've changed. "They already look different, and I think it will be really interesting to look at this doc five or 10 years from now and see these guys when they were high school students. There's a good chance that several of them may be superstars in the NBA," Yauch told The Associated Press in an interview this week. "They were like babies in this picture." Yauch took his camera to Harlem's famed Rucker Park, made famous by streetballers, in September 2006 to document some of the nation's top high school talent, who were playing in an event there. Yauch said he was struck by how the players — who also included Jerryd Bayless of Arizona, Donte Green of Syracuse and Kyle Singler of Duke — could act like kids one minute, yet live in such an adult world. "They have this infrastructure around them, and they are being groomed for stardom," he said. "When I was in high school I wasn't getting the quantity of media that these guys are," he said. "But it's not necessarily a bad thing." Yauch, 43, said the documentary, which premieres April 28 at the Tribeca Film Festival, doesn't make a judgment on the world where the precocious teens lived, but does give viewers a glimpse into it. He added: "The people around these kids really do care about them." "Gunnin' for That No. 1 Spot" is slated for wide release June 27. In response to me in a previous email you mentioned how you thought it was unfair that everyone seems to forget about all of Dirk's past accomplishments just because of the Golden State series. But as we turn the table, isn't that exactly what you and a lot of others are doing with Avery? Are we supposed to forget that he coached his team to the stinking NBA Finals? And the next year he coaches his team to 67 wins and we're supposed to forget about that also? I cannot in any way defend Avery for this team's performance in Game 2 last night. But please explain your logic and how you feel justified in running Avery out of town in just his third full year, but you are oh so patient with Dirk. And yes I agree last night in Game 2, Dirk had no help from the supporting cast, but I can make the argument that the supporting cast bears the mood of their leader. So let's run Avery out of town so we can start working on yet the THIRD coach of Dirk's career. Don Nelson's gone. Avery's gone. If they go on to lose this series with the Hornets many of the supporting cast will be gone. Steve Nash is gone. Michael Finley is gone. So after all of these different players and coaches have come and gone, next year only one common piece will remain - Dirk. Now think about the promo we hear played on the ticket these days with your comments about the Mavs problems and maybe Dirk isn't it. Could it be the other way around? Year after year they continue to fail and he would be the only thing that HAS NOT changed. Have you ever thought about it? - As Grubes chimes in right on time with that Drop. isn't the difference that there are 40 NBA Coaches every year (assuming 10 get fired), and there is 1 NBA MVP every year? The point being, it is easier to find another coach rather than finding another league MVP. Never has a team had such a crucial game, only to make matters even worse. Oh, wait; They did this last season in a “must win” game in Oakland. As much as I try to hang in there with these guys in the face of people calling me a moron for believing in them, I feel that I have been duped. The honest appraisal of this all appears to be that they are diseased and dying. They are taking their last few breaths before they are put in their casket. Last night indicated to all of us how interested they are in delaying the inevitable. Not. At. All. They don’t believe. They don’t fight. They don’t appear to care. And, even if they did, they don’t appear to know what to do about it. I said last summer that they needed a heart transplant. They ignored me and everyone else that agreed. Then, in February, they made a bold trade to “win now”. It actually appears they made it even worse than it was. Or, maybe just more hopeless. If last night wasn’t a true indication that the current mix isn’t close to working, I don’t know what would be. That was sickening. And, barring a completely unforeseen recovery in this series, that was more than plenty to fire your coach. Is it all Avery’s fault? Debatable, but in sports, when your team clearly doesn’t respond to you, you fire your coach. • So, the Hornets take liberties with the Mavericks on Saturday night, including the much publicized “touching of the face” of Dirk. Between games, Avery talks about standing up for yourselves. So, on Tuesday, in an effort to set the tone of how the Mavericks won’t be pushed around, they roll out and surrender a dozen dunks in the Hornets’ 39 point first quarter. There is nothing more demoralizing than not having any clue how to stop them. And it is quite obvious that the only thing worse than not double teaming Chris Paul as he lights you up, is poorly double teaming Chris Paul and allowing the entire team to light you up. • Did you consider giving up on the game at the same time I did? Jerry Stackhouse drives to the rim, is soundly rejected by Tyson Chandler, who sends the ball to Chris Paul, who takes off on the right side, Chandler sprints down the left side and accepts another lob pass and throws down a power dunk 94 feet away from where the play began. That made the score, 8-5, and the route was on. • Josh Howard made a jump shot with 8:00 to go in the 2nd Quarter. That would be his last field goal of the game. In game 1, his last field goal happened with :01 left in the 2nd Quarter. I am not sure what he does in the 2nd half of basketball games, but it isn’t playing basketball. • Seriously, have any “between game adjustments” ever gone any worse? You had 72 hours to figure out the Chris Paul riddle, and that is what you came up with? I think we can all agree that wouldn’t qualify as a real precise adjustment. Avery may not have the personnel to handle certain complicated deployments, but by now, Avery should be aware of what he has to work with, and if he can’t make those pieces fit well enough together to hold New Orleans below 127 then you may need to fire your coach. • By the way, Avery is signed through 2010-11, at $4 million per season. It would not be real cheap to fire your coach. Of course, it also would not be cheap to trade for Jason Kidd - that didn't stop Mark Cuban. • Remember the premise that Dirk needs help? Well, that means Jerry Stackhouse, Josh, and Kidd need to step up and help. 4-10, 3-10, and 3-10 is not what we had in mind. By the way, Dampier went 3-6 for a starters-not-named-Dirk total of 13-36 (36%) Meanwhile, CP3’s mates in the starting line-up had shooting nights of 8-13, 11-17, 4-7 and 5-7 for 28-44 for 64%. • The last 3 halves for the Hornets: 64, 67, and 60 points. • And now for the obligatory Chris Paul is amazing entry: 32 points, 17 assists, and 5 rebounds? That’s great but he didn’t block a single shot. Seriously, wasn’t it fun to watch Dampier trying to guard Paul on the switch? Shockingly, Erick did not break an ankle, but CP3 had a pretty nice crossover that just about made the big man tumble. He is in another world. But, did TNT’s comparison to Lenny Wilkens miss the mark or what? You can show me those highlights all you want. Wilkens is not a similar player to Paul. Sorry. They are playing two different sports. • David West may be in the running for most underrated player in the NBA. He certainly has a game that makes you notice his impact on a game. 27 points and another harassment of Dirk leads one to believe that the battle of the supporting casts is not going well from a Dallas perspective. • Would it be too much to ask Josh Howard to win a matchup against Peja? Seriously. That is flat embarrassing. And if I hear one more time that he is having a hard time continuing on without his buddy Devin Harris, I might vomit. Seriously, how old are these guys? Something that should be assumed when you take $40 million from an NBA franchise is that they might – without warning – trade one of your buddies. At this point, you may have to correspond with your buddy nightly through text, phone, IM, or perhaps video phone. Somehow, we will ask that you still carry on and try to play basketball that is slightly above horrendous. • When your opponent has 97 at the end of 3 Quarters, and 3 guys have over 20 points, I am guessing the stats generally indicate you are going to lose that game. • This is too much to bear. I believe in being loyal to your team through thick and thin, but when you are actually happy that TNT switched away from your game, you obviously are having a hard time hanging in there. Is this thing over? There is still time, but no longer does this appear to be trying to climb out of a hole. It appears more to be delaying a sure death. • When this ends, can we please blow this thing up? The Dirk-Terry-Stack-Howard-Dampier led Mavs era needs to end. I am sorry. I can no longer defend something that is so obviously broken. At least we have a #1 to look forward to…oh wait. Lots of great sports are going on right now, but it is time we all focus on one thing. Figuring out a way to slow this man down. CP3 is going to make quick work of the Mavs unless they can slow him down better than Dwyane Wade and Baron Davis before him. Tonight, at 6, the Mavs have a chance to steal the upper hand in this series. Let’s see if they have some fight in them…. Help out Dirk. He's the Mavs' leader, their best scorer and best rebounder. Now they need to follow his example by forgetting the excuses, getting to the free-throw line, staying mentally tough and delivering. Cut off the lane. The Mavs can't allow Chris Paul to get into the paint and create. They need to turn him into a jump shooter and scorer, and prevent him from getting his teammates in the flow. Of course, that's easier said than done. Get out and run. The Mavs get into big trouble when they fall into their half-court sets and start standing around. They can avoid that by defending, running off Hornets misses and attacking the basket in transition. Defensive stops: The Hornets outscored the Mavs 22-2 in the paint in the second half of Game 1. Chris Paul continually broke down the defense with dribble drives. Box out Chandler: The Mavs did a good job of rebounding in Game 1 despite Erick Dampier grabbing only four. The big problem is 7-foot-1 center Tyson Chandler. He had seven of New Orleans' 15 offensive rebounds and several crowd-charging dunks as a result. Shoot better: The Mavs can't make nine field goals in a half and expect to compete. The Mavs shot 33.3 percent overall -- they ranked ninth in the regular season at 46.4 percent -- and made only 7-of-22 from behind the arc. I know this was Saturday, but this was shocking on many levels from J-Ho …. During his five NBA seasons, Josh Howard has been candid with The Dallas Morning News and other media outlets about using marijuana. Entering last season's playoffs, the ESPN.com blog TrueHoop asked Howard whether he slipped to No. 29 in the 2003 NBA draft because teams were concerned that he had a marijuana problem. Howard responded that "a lot of people have that problem" and speculated that players selected ahead of him also smoked pot. He said it shouldn't have affected his draft status. Asked whether he caught any flak for that interview, Howard said no. When asked to quantify the extent of his use, he said he got "a little crazy" in high school but uses it "less" now and never during the season. He emphasizes that marijuana is "nothing I'm needing," unlike some NBA players who "have to have it." "What can I say? If you can do it and it's not affecting your everyday life, why stop? If I'm able to do it, but not while I play basketball, it lets you know I can quit whenever." Tim Frank, the NBA's vice president for communications, said the league doesn't comment on specific players and the anti-drug policy. Under terms of the league's collective bargaining agreement, NBA players are subject to four random tests during the season (Oct. 1-June 30) for performance-enhancing and recreational drugs. If a player tests positive for marijuana, he is placed in a drug counseling program. A second violation results in a $25,000 fine. Subsequent violations result in incremental five-game suspensions. The only suspension of Howard's career were the two games the NBA assessed to start this season, after a preseason-game skirmish with Sacramento's Brad Miller. A Rockets team that overachieved mightily in the second half of the season -- they sported the league's best record since Jan. 1, including an improbable 22-game winning streak that they achieved despite losing Yao Ming for the season -- finds itself facing some long odds after dropping Game 2 at home to the Jazz, 90-84 on Monday. The reason is simple: Without Yao, this team has no margin for error. So if they miss a few free throws, or if a late call goes against them or if one of Utah's subs makes a clutch heave, they simply don't have enough juice to answer. Monday showed that even more than Game 1, as the Rockets fought and clawed their way back from an early nine-point deficit and had a chance to tie the game in the final minute. "Those guys in the locker room played their butts off," said Houston coach Rick Adelman. "I can't ask for more effort than they gave, and we came up short." But ultimately, the inability to hit free throws (Houston was 16-for-26) and the lack of secondary offensive threats were too much for the Rockets to overcome. All season, the Washington Capitals have been counted out. It happened when they started out 6-14-1. It happened when Philadelphia took a three games to one lead in the Eastern Conference quarterfinals last week, and again when the Flyers pushed them to the edge of extinction in Game 6. Each time, though, Alex Ovechkin and his teammates have stunned their doubters -- and Monday night was no exception. The Capitals scored four straight goals -- Ovechkin notched two of them in the third period -- to win 4-2 and force a seventh and decisive game in this Eastern Conference quarterfinal series. "Nobody believe in us, that we're a done team," said Ovechkin, who led the NHL in goals and points in the regular season but had been limited to a goal and four assists in the series' first five games until breaking out with his team's season on the line. "But it's not over. Tomorrow will be the biggest game in our career. We won't stop, we just want to continue what we do right now." Tuesday night at Verizon Center, the Capitals will play the sixth Game 7 in franchise history and attempt to become only the 21st team in the history of the National Hockey League to come all the way back from a three-games-to-one deficit. They rallied from down 3-1 to beat the Flyers in 1988 and are 1-4 all-time in Game 7s. If the Capitals win, they will face postseason nemesis Pittsburgh in the next round. "I think he's the colossal bust in this draft. He doesn't run with patience. He's a very incomplete back who tries to run you over. If he gets a crease, he can take it to the house. But he doesn't break tackles and he fumbles. I'm not impressed." - Fox Sports NFL analyst Brian Baldinger on Arkansas running back Darren McFadden. • Cade McNown (No. 12 in 1999), who lasted only two seasons as Chicago's starter. • Dan McGuire (No. 16 in 1991), who started five games in four years with Seattle. • Chad Pennington (No. 18 in 2000), who had a few good seasons with the New York Jets but saw his career slowed by shoulder problems. • Kyle Boller (No. 19 in 2003), who has had five mediocre seasons in Baltimore. • Todd Marinovich (No. 24 in 1991), who played in eight games over two years for the Raiders, and later battled drug and legal problems. • Tommy Maddox (No. 25 in 1992), who lasted just two seasons with his original team (Denver), then went six years without a start before making a brief comeback with the Steelers in 2002. • Jim Druckenmiller (No. 26 in 1997), who made just one NFL start for San Francisco. • Patrick Ramsay (No. 32 in 2002), who started out OK with Washington but has bounced around the last few years. • J.P. Losman (No. 22 in 2004), who remains with Buffalo but last season lost his starting job to rookie Trent Edwards. • Rex Grossman (No. 22 in 2003), who remains with Chicago but might be a backup this season. The only starter in the group is Jason Campbell (No. 25 in 2005), who played well for Washington last season but hasn't stood the test of time. quarterbacks in this group. Quinn isn't expected to start for Cleveland this season. The draw of Anfield is so powerful on a European night that even Tom Hicks is weighing the hassle of a rare public appearance at Liverpool against a guaranteed adrenaline rush this evening. His presence would not shift focus from a third Champions League final in four seasons, Rafael Benítez said yesterday, but it would demonstrate the strength of Liverpool's siege mentality should they deliver. Work finally commenced on the club's much vaunted stadium project last night when a spade broke the surface of Stanley Park for the first time since Hicks and the co-owner, George Gillett, promised construction would begin within 60 days of their takeover - in February last year. Yet the landmark moment was simply a further illustration of the rancour and divide through which Benítez and his team have advanced on Moscow. The first act of an estimated £350m project was not funded with bank loans or even blessed with planning permission. It was a ceremonial dig staged by the Spirit of Shankly supporters group in protest at the American owners and the stalemate over the club's future, the trickle-down effect of which has been to stall a stadium development critical to the overall regeneration of the Anfield area. The dig took place within three hours of Benítez's call for unity against Chelsea and, while the manager may well get his wish (little can distract Anfield from the thought of finding room for a sixth European Cup), not every ounce of venom will be reserved for the Londoners should the Texan and/or Gillett elect to take a seat at the front of the directors' box. "I think that our supporters are very clever and they know we need the people behind us from the start," said Benítez who, given his position in the Liverpool political landscape, would not renounce Hicks's decision to watch the club he part-owns. "The supporters know we are playing the second leg at Stamford Bridge and I think they will be focused on the team." Taking his supposedly problematic managerial style out of the equation for a moment, is this temporary/partial vindication for Army? 1) Stood by Marty and Tippett when many others were ready to throw them overboard. 8) Staying competitive with an aging and expensive core within a hard salary cap. 10) and pretend the Nagy thing didnt happen. The better this team does, the more selective he can be in choosing future GM positions. You may already be aware of this data, but I find these numbers to be staggering. I couldn’t begin to know the FT numbers, but I suspect those stats are even more distressing. Another interesting thought, the Mavericks under Avery have a record of 2-6 in the first game of playoff series. In second games, they’re 6-1. I have been a Cowboy fan all my life. I was born in Lubbock, but moved north (Nebraska) when I was a little kid and the Cowboys were never far from my heart. I have always loved baseball, but never lived close to a professional team to feel a connection. Same thing with the NHL. I went to college hockey games with friends and enjoyed myself, but never followed the game or a team seriously. Same thing with the NBA. So a little over five years ago I moved the wife and kids to Fort Worth. My sports pants were going crazy – I had EVERY SPORT here! AND my beloved Cowboys. Over the course of five years I have become a fan of all of the DFW teams – the last was the Stars, thanks to your ’07 road trip. I try and attend at least one game for each sport every year (usually heavier on the Rangers due to cost – that’s the budgetary ‘world’ for your typical generic IT guy). So what how was my good fortune of moving here rewarded? I got the Ticket… far and away the greatest sports radio station ever. AND THAT WAS IT! Every other ‘sector’ of the DFW sports world has kicked me in the crotch year after year. I had such high hopes for the Mavs two years ago. And now this year – it doesn’t look good at all. If I had been in the locker room after the Cowboys lost this year I probably would have dog cussed them until I was hoarse. The Rangers? Please. And that brings me to the little Stars. Thanks to you Bad Radio, for turning me onto our local hockey squad, I experienced the longest 13 minutes of my life last night – between Stars goal “2” and “3.” And let me just say… it was AWESOME! I can’t remember feeling any where near that kind of emotion in the Cowboy’s playoff game this year. 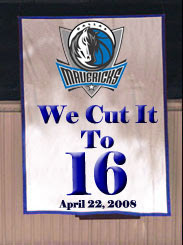 Or when the Mavs went on their run in ’06. The impending doom I felt each time the Ducks lined up for another assault on the Stars defensive position was like a punch in the gut. Somehow, the Stanley Cup champs couldn’t find a way. And finally, the elation I felt when goal number three did go in was euphoric. Sports. In the grand scheme of things, does it all really matter? Maybe not… but if you need an argument for why sports, to me, is great, just look at footage of the faces of the Stars when Madano scored. Or you could have looked at my face, too. ‘Nuff said. It’s just a little first round win? Don’t tell the “five year DFW resident” (me) that. He might take a well-taped hockey stick and smack you with it. Time to get to the Arena. Right. He Is Really Soft.